We’ve all experienced the dreaded summer cold. You’re having a sun-filled summer packed with friends, popsicles, and fun, and you somehow become sick. What can you do, and how can you be sure it doesn’t happen again? What’s the Deal with Summer Colds? Most don’t believe you can get a cold in the summer, after all, it’s called a “cold.” The reality is that a viral infection or low immune system can strike at any time of the year. It’s also possible to experience allergies in the summer only, which may appear as the common cold. You come in contact with viruses and bacteria daily, and your immune system typically fights them off without becoming ill. However, when your immune system is down, your body is unable to fight off the invader easily, so it must launch an all-out attack. In the case of the summer cold, you experience a runny nose and coughing as your body tries to detoxify the virus from your body. Another way to attack illness is to allow it to leave the body naturally, but boost the external surroundings of the body. It’s important to focus on air quality in your spaces – both at home and the workplace, as well as wherever else you may frequently spend a lot of time. Viruses and bacteria in the air can be circulated time and time again in the summer months, as many homes and workplaces are cooled with air conditioning. Ventilating these areas helps, however, you can also introduce purifiers into the area. 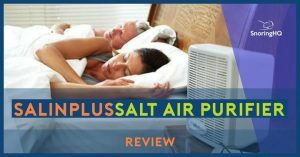 A Salin Plus salt therapy device can rid the air of pollen, mold, smoke, dust and other pollutants that can cause the common cold while also introducing the healing effects of salt into the air and your body. 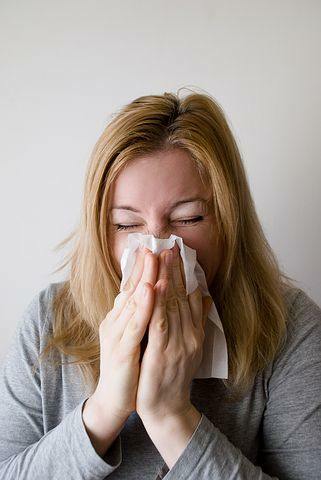 Often, what appears as a summer cold may very well be allergens from outside or inside the home. In that case, an air purifier is your best bet for relieving the symptoms. A cold can happen any time of the year, though it’s the worst in the summer since you should be outside having fun. Take these steps to prevent the summer cold from washing your plans down the waterslide. Get to Bed on Time. With the sun being up so late during the summer, we are tempted to stay up later. Pay attention to the time you get to bed (and get up), and be sure you still get eight hours of sleep per night. Eat Healthy. I know it’s tempting to exist on popsicles and snow cones in the warm months, but the added sugar does nothing to help you. Take advantage of the fresh fruits and vegetables available by getting five servings a day. Cut back on the sweet treats whenever possible. Clean your Indoor Air. Even if you have a stellar diet, loads of exercise, and plenty of sleep, you will still come in contact with viruses and bacteria daily. Though you may be outside during the day, your indoor air quality may harbor germs as the air conditioner runs throughout the summer, trapping potential cold-creators in as the windows and doors are closed. Consider getting an air purifier, such as a salt therapy device, which cleans the air. Get Out in the Sun. I shouldn’t have to convince you of this one, but vitamin D is an essential precursor to a strong immune system. Be sure to be out in the sun for 30 minutes daily to get its health-boosting benefits. If you can’t get out in the sun, supplement with vitamin D daily for the same benefit. Circulate your Lymphatic System. Unlike our circulatory systems, our lymph system has no pump. Your lymph tissues, organs, and fluids are the critical components of your immunity. Without moving around these fluids, your immune system could literally be down. Get those healthy fluids moving by moving your body – running, jumping on a trampoline or doing jumping jacks are great ways to move the lymph fluids from the bottom of the body back to the top. Plan Time to Rest. Our schedules tend to get much fuller in the summer, and for a good reason. But, you may overbook yourself and leave little downtime for rest, which can impact your immune system negatively. Be realistic with your commitments and don’t forget to plan time for rest, meditation, and whatever refills you. Luckily the high intake of vitamin D, extra exercise and fresh produce available helps you have a healthy summer, but don’t neglect the basics to keep the summer cold at bay.